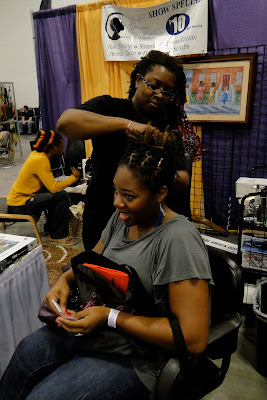 Loc Rocker: Natural Hair Show '10: My $10 Do! Natural Hair Show '10: My $10 Do! My hair was done by Alva from A Natural Knockout. Her salon is based in Atlanta and you can check out the website here. She was absolutely wonderful! Of course I rambled the whole time she was doing my hair. 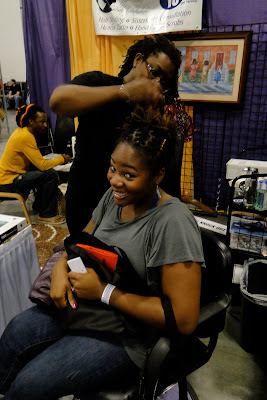 I asked her questions about her Sisterlocks. I asked her how my locs looked. I asked her how long she had been doing hair. I went on and on and she answered everything. My girl Keneta kept me company while I got my hurr did. K accompanied me the second day of the show. Two days before she BCed a second time and was rocking a beautiful and healthy fro. Yeah buddy! She did SUCH a great job. I got so many compliments throughout the show. I don't care what nobody say (yay...Ebonics!) I WILL be learning how to do this. I'll probably have to start out on someone else first but man oh man...how hot is this? And since we got confirmation from one of Alva's clients (check out the comments) who has sisterlocks, I think it's save to say she comes highly recommend! That style is hawt! It would be great for summer cause all this hair down my back is not gonna be the business come June/July. Very cute! Just play in your hair, you'd be surprised how cute of a style you can do on your own with a lil practice. I love it. I'm so use to styling my own hair and cannot wait until I have a little more length, so I can "hook it up" like you. Her name is Alva Clemmons (of A Natural Knockout dot com). She did many of my retightenings in Atlanta after my first year of SLs. She's BEYOND awesome. 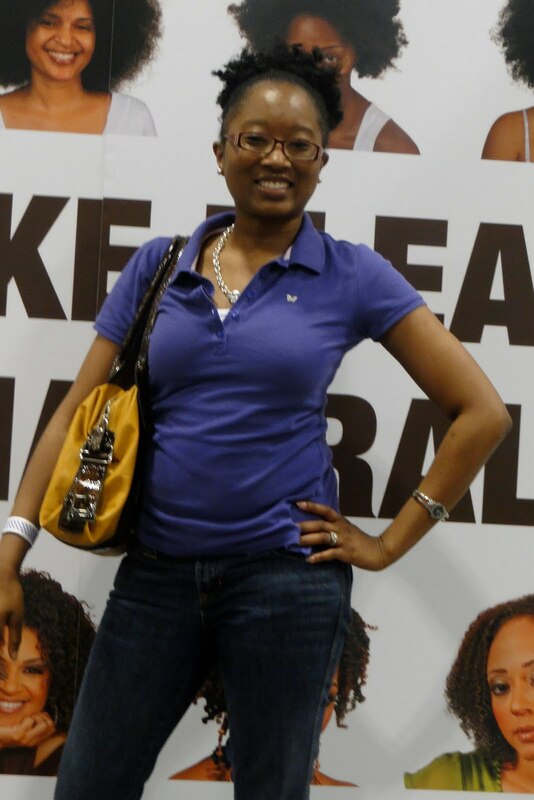 I love to see locs styled. I can't get mine styled all the pulling and tugging gives me horrible headaches. Well, I would have taken advantage of this if I didn't get mine done before I left NOLA. your locs are growing well woman!